Copag 1546 can be printed with invisible ink mark, which can be read by IR contact lenses. 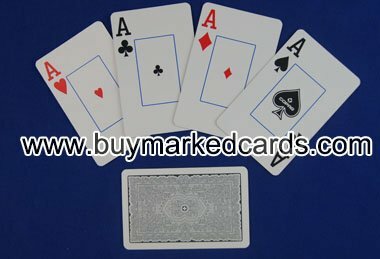 Copag 1546 Poker Size Jumbo index playing cards is not only to be made as the marked playing cards for infrared contact lenses or UV sunglasses to read, but also to be made as the marked deck for poker cheat analyzer to scan. With good marking quality, it can be read by contact lens instantly, and the barcode can be scanned by the poker scanner within 1 second. It is more practical than ordinary marked poker cards. Our juiced cards are the latest and the best marked cheat cards in the world. 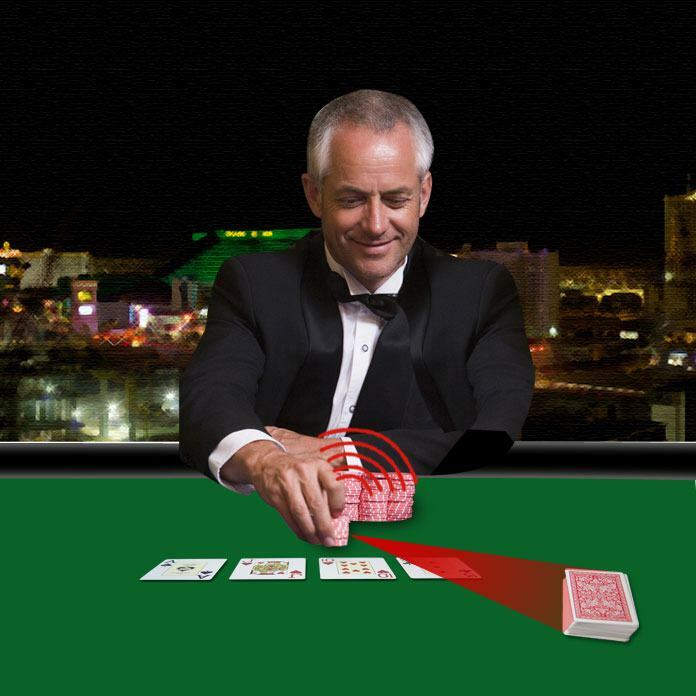 They are very useful in Magic Show and can also help you success in Texas Hold'em and Omaha game. Our luminous marked deck are of high quality. We use the most advanced invisible ink to mark them.